Plate Heat Exchangers – Anguil Environmental Systems, Inc. The plates of flat plate heat exchangers are mounted in such a way so that the flow of hot and cool liquid runs counter to the other without coming into direct contact. The plates used in the mechanism are typically fabricated from a conductive metal such as stainless steel or aluminum. The plates will come under a certain amount of pressure due to the temperature changes and pressure of flow, therefore the material chosen needs to be durable. There is also a chance of thermal stress and shock as one side of the plate is exposed to cool liquid while the other side is exposed to heated liquid. As the respective temperatures are absorbed by the plate, it may experience some stress and needs to be strong enough to maintain its shape under that stress. Plate heat exchangers are used in heating, cooling, steam and industrial processes in equipment such as chillers, refrigeration and HVAC processes. Another common use of these exchangers is in domestic water heating applications using small versions of the mechanisms. There are many advantages to using plate heat exchangers in place of alternate options such as shell and tube heat exchangers or spiral heat exchangers. Flat plate exchangers are relatively small compared to the amount of liquid they are able to process. 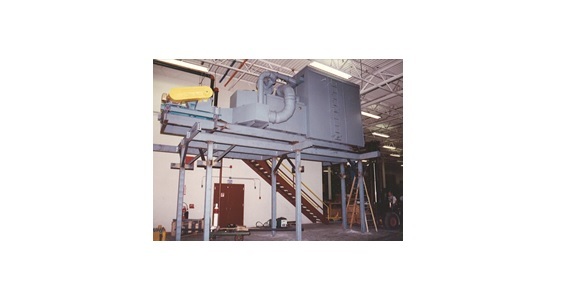 They offer high performance results in terms of efficiency as the rate of heat transfer is directly comparable to the amount of surface area available. The flat plates offer a large surface area, further increased by the addition of a corrugated surface that allows for a large amount of heat to be transferred through the plate at one time. The corrugations also create disruptions in the flow of liquid that increase the exposure of the liquid to the plate surface and therefore further increase the rate of transfer. Further advantages include the low installations costs and typically low maintenance costs of plate heat exchangers. While certain materials processed with these exchanges may leave residual traces on the plates that require cleaning, the structures generally are simple and durable. Plate heat exchangers can also be used in the process of waste heat recovery, allowing manufacturers to make their processes greener. Plate Heat Exchangers Plate heat exchangers are a type of heat transfer unit that are constructed of mounted plates in a rigid frame that creates parallel flow channels for the passage of liquids and gases. Used commonly in residential, commercial and industrial applications, flat plate heat exchangers are designed to offer an efficient heat transfer process for applications in which the flow of materials and the temperature of the materials are moderate.